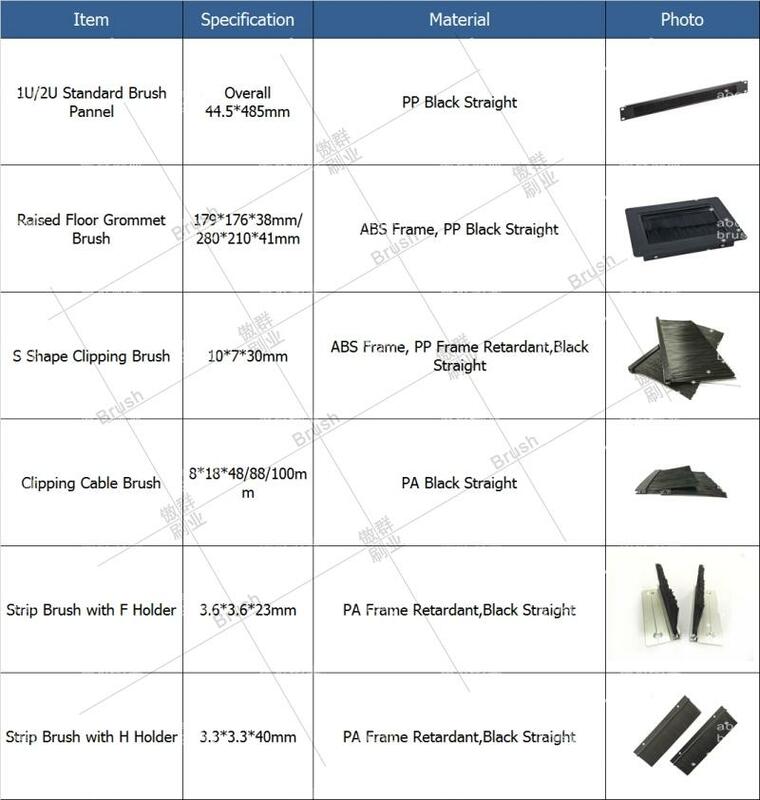 Guangzhou AOQUN Brush Industry CO., Ltd. Has more than 10 years ‘experiences of flame retardant server rack brush strip design and manufacture. The 1U/2U server rack brush strip is used widely on the server or KVM plug inside the rack cabinet. It provides a professional server rack airflow management solution. The server cabinets are placed densely in the data center. The inner servers run for a whole day and produce heat continuously. Thus the servers will be easily damaged by overheated. So we need the air condition to keep the dater center cool. As there are gap/hole on the cabinets, the airflow leak from it. AOQUN server rack brush strip seal the gap/hold of the server cabinet, keep the cool air inside the server cabinet and prevent the heat exchange between the server cabinet. Therefore, it provides a steady cooling environment for the server running and extend the service life of the server. Meanwhile, the server rack brush strip hides the messy cables, make sure the cables can go through the server rack brush strip but not affect the appearance of the dater center. AOQUN server rack brush strip is standard for 1U/2U and even 3U server, it complies with the EIA-310-E plug standard. There are many kinds of H Type easy-to-install aluminum profile for your choice. In addition, we have independently developed the flame retardant filament which authorized by UL94 certificate and reached the highest UL94 V-0 flame retardant standard. (We have the third party test reports), and also passed the six heavy metal testing of ROHS.